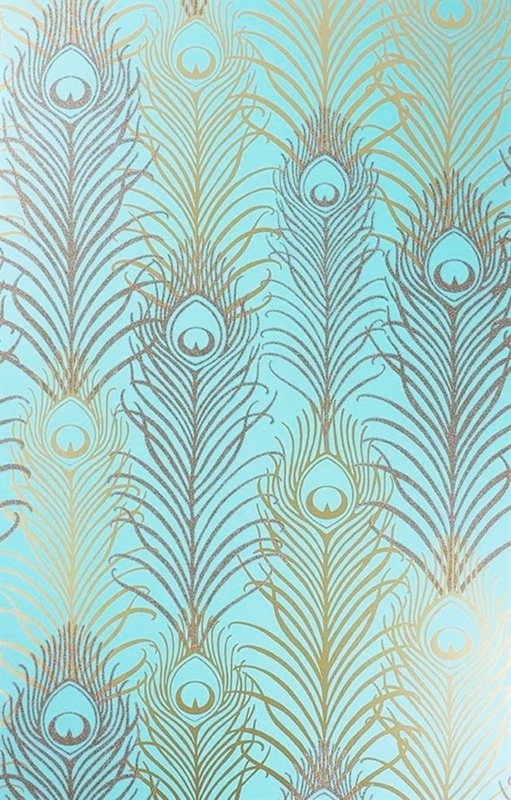 Let turquoise and gold whisk your wall decor with the beautiful and majestic, Peacock Feathers. 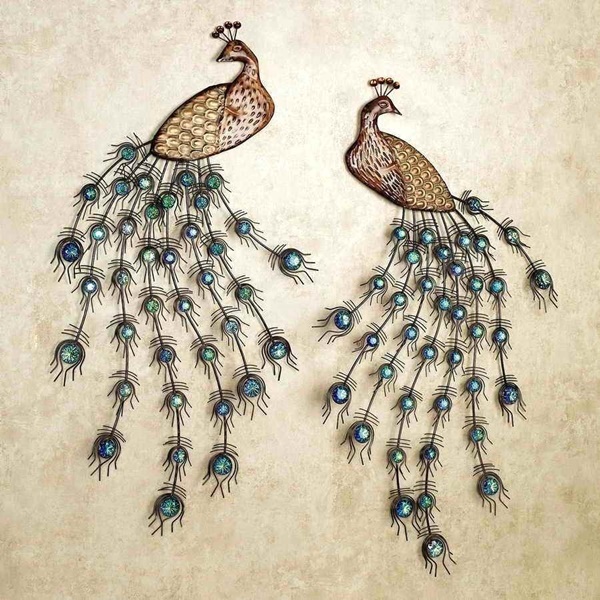 Peacock feathers are considered as a good luck, bringing prosperity into home. 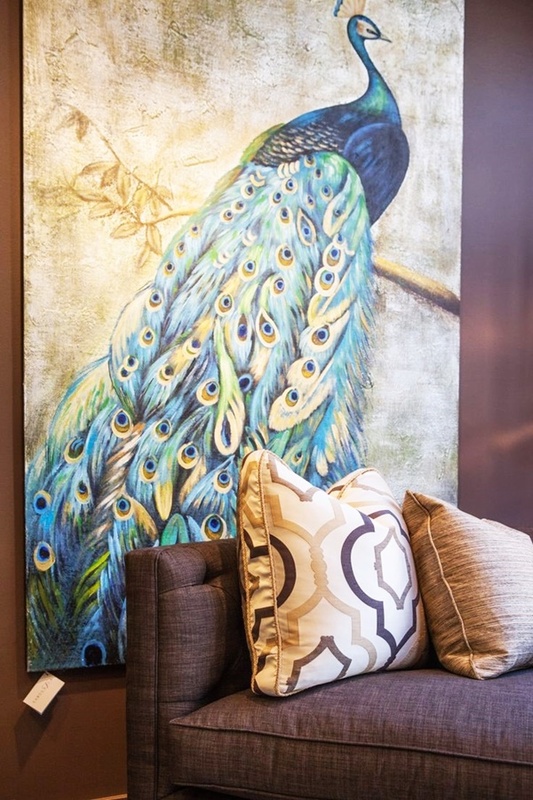 “Feathers” alone are so beautiful and gentle, and when incorporated with crafty decor, it will add a whole new meaning to the word. 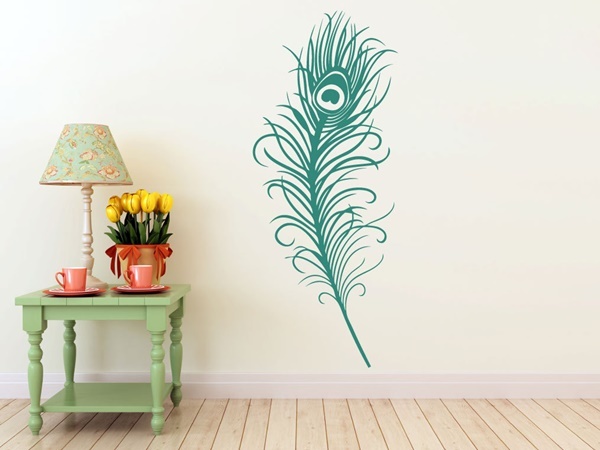 It’s time to feather your house, and decorate the boring walls of our house. 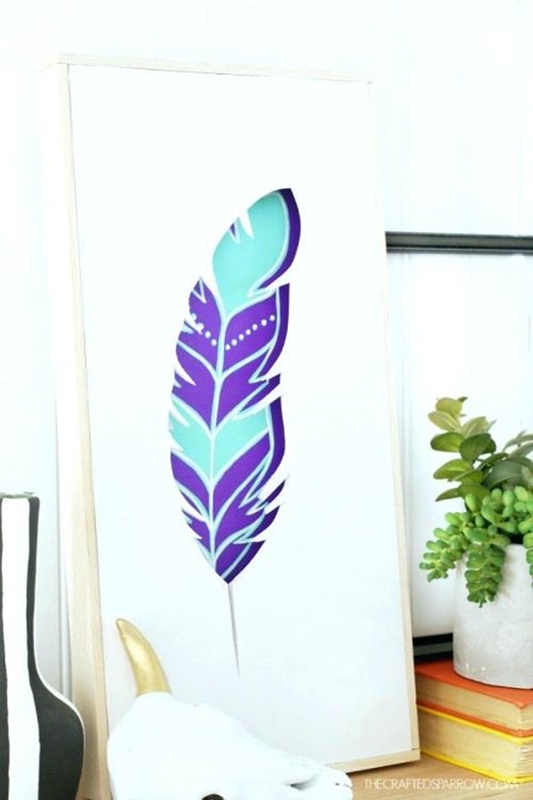 From whimsical peacock feather stencils to intriguing wall paintings these Peacock Feather Wall Decor Ideas for a feeling of pride and prowess. Here you also find some POMPOM KIDS CRAFT IDEAS which will ooh your mind with their adorableness. 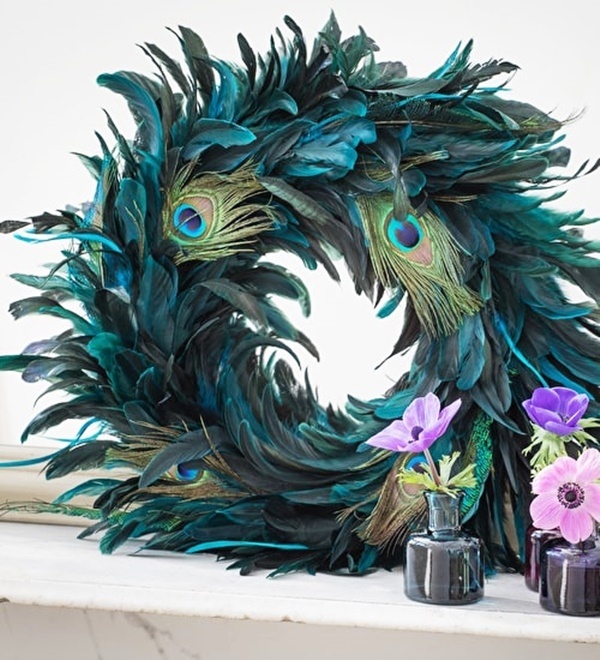 The natural wistfulness of peacock feather can adorn your white living room wall with this illustrious peacock feather wreath. 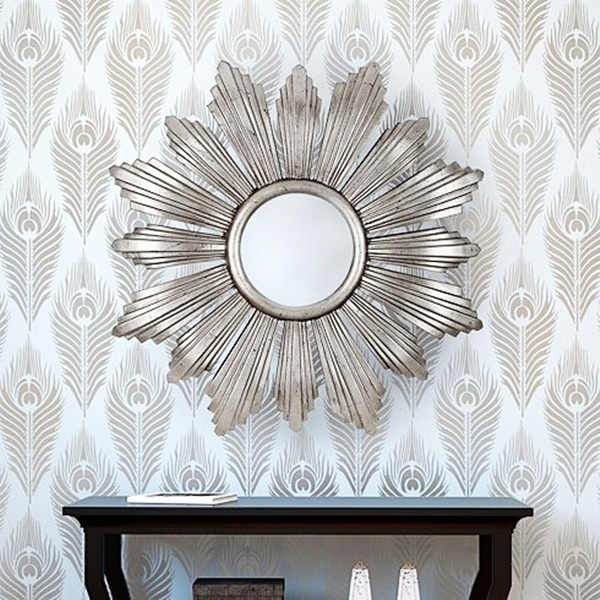 It can be ornate to welcome your guest. 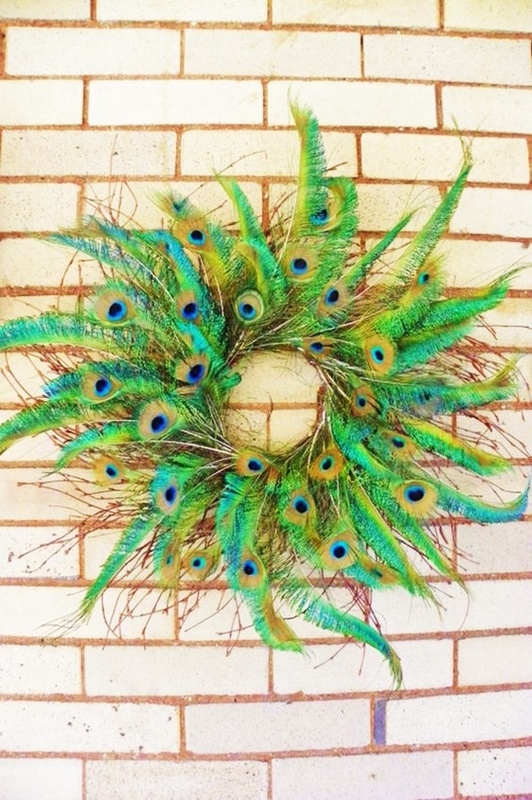 Tuck sword feather into a boa pushing the quills ends to form a wreath to secure them. Hang it on the wall with a ribbon. 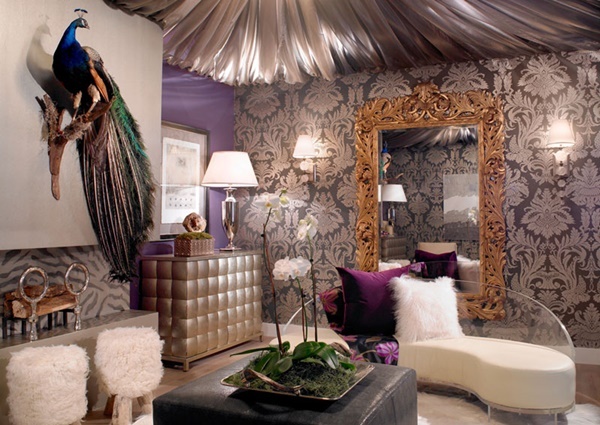 This bold and beautiful Peacock Feather Wall Decor Ideas such an amazing decor to show off! 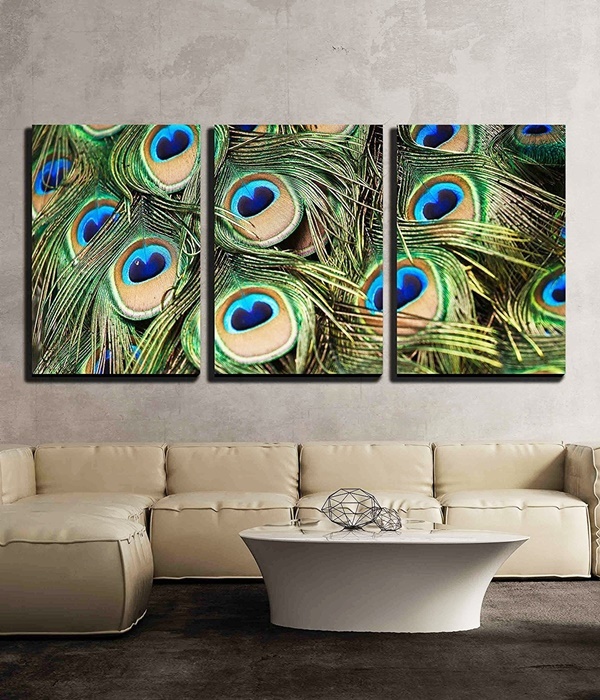 Dazzle your guest in your living room with this 3 piece art, that show off the peacock’s resplendent tail. 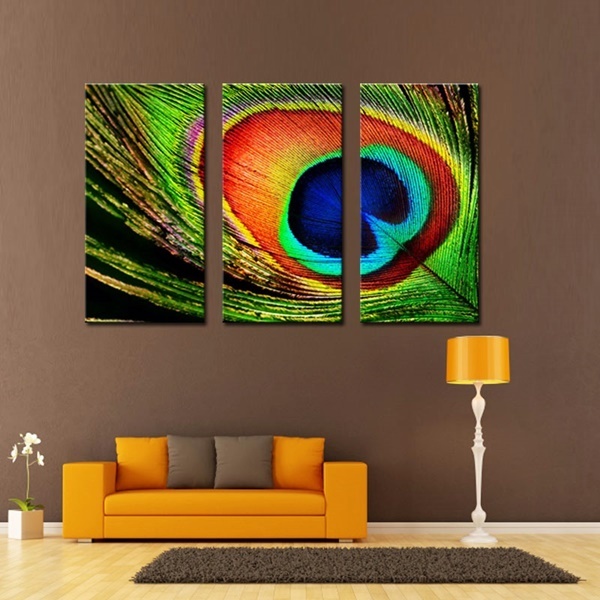 The stretched 3 piece painting facilitate a large and visually so dramatic art piece. 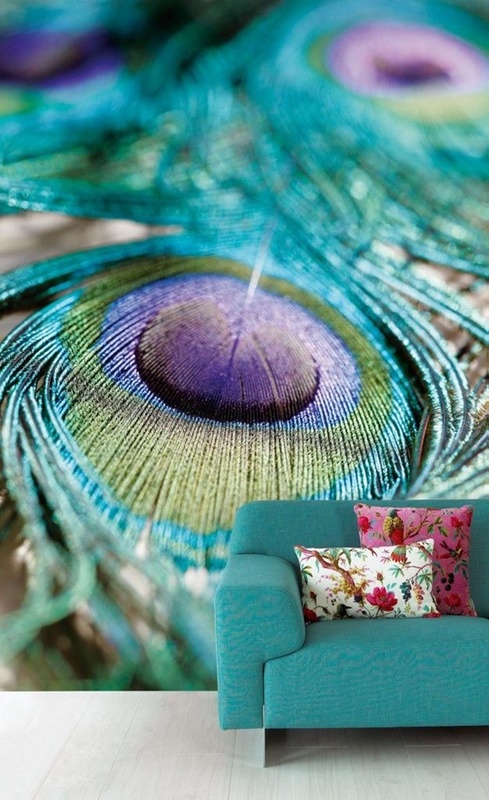 The high quality oil paints and textured structure of canvas introduces an artistic feel to the living room. 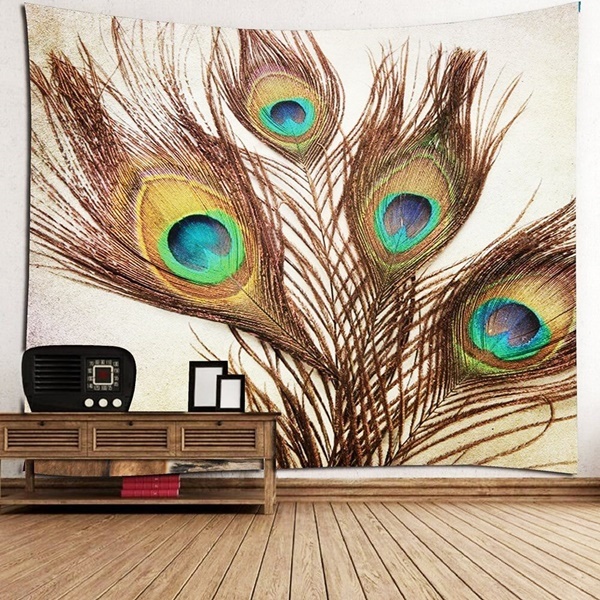 Sure, a lot of people will embrace the beautiful peacock painting. 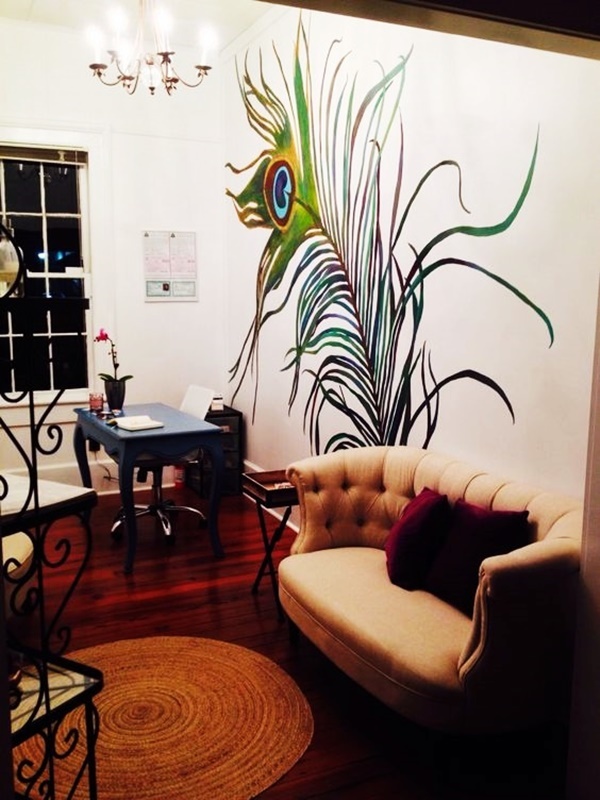 It’s alright if you’re not a big artist or don’t want to spend a lot on the huge painting, you can still fancy peacock feather on your wall. 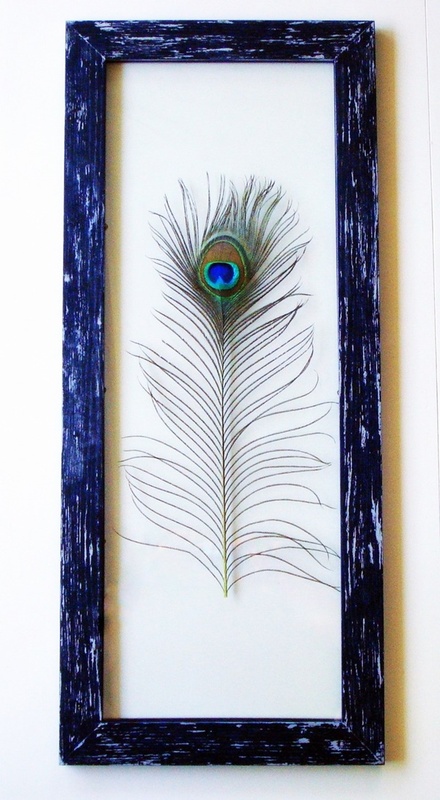 Buy some beautiful peacock sword feathers, with long quills, frame them inside a clear glass frame and hang it to wall. 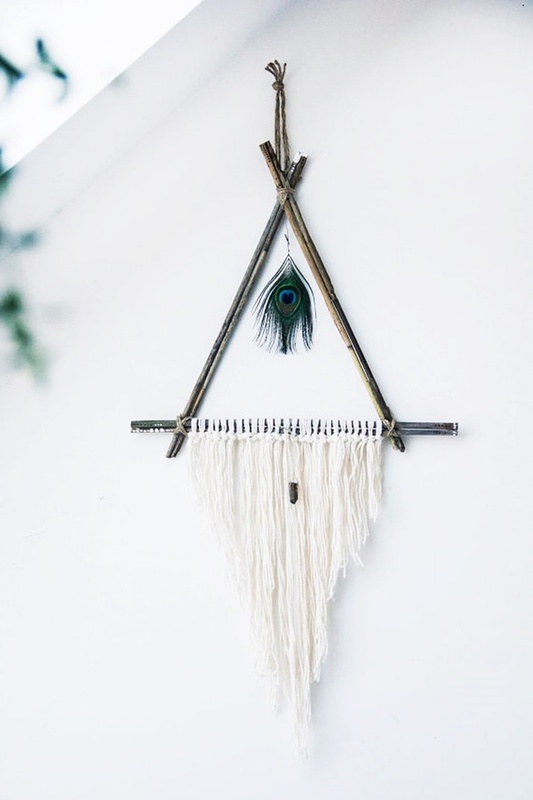 This small minimalistic frame can still dazzle your wall a lot. 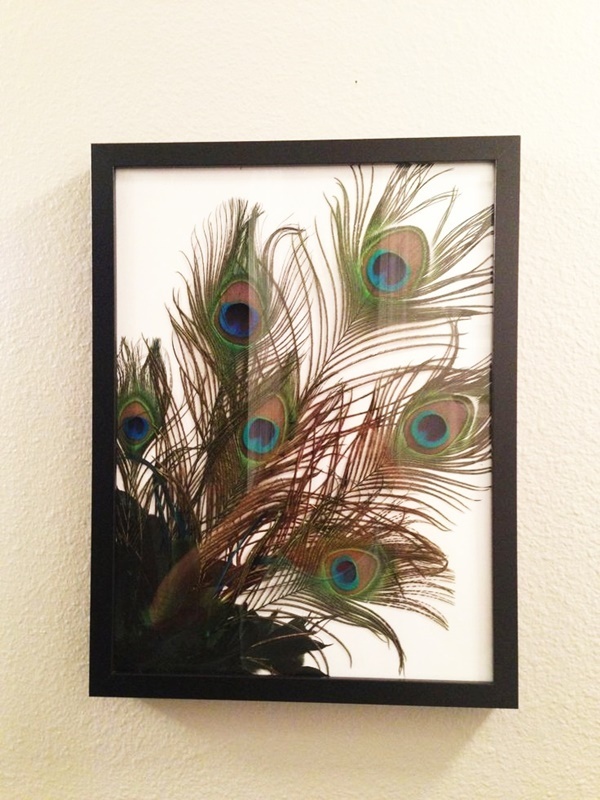 For more glam, you can add glitters to your feather and frame. 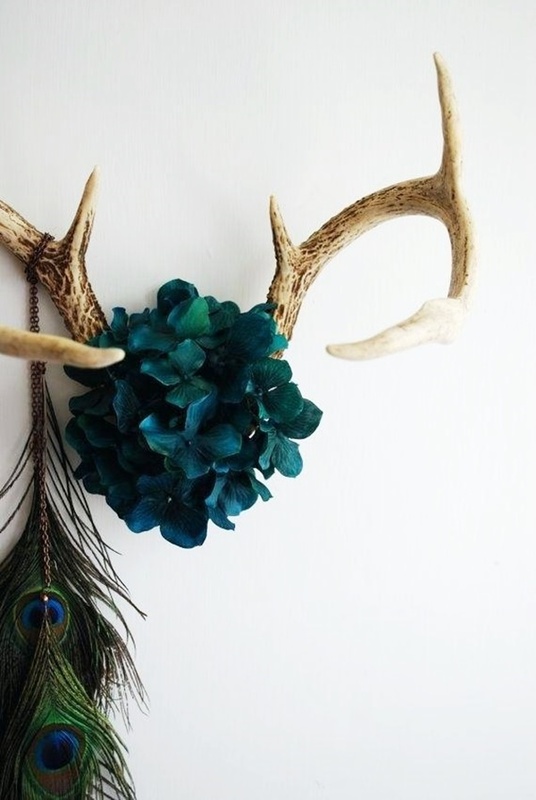 Mimic this blue-hued frame in your living room. 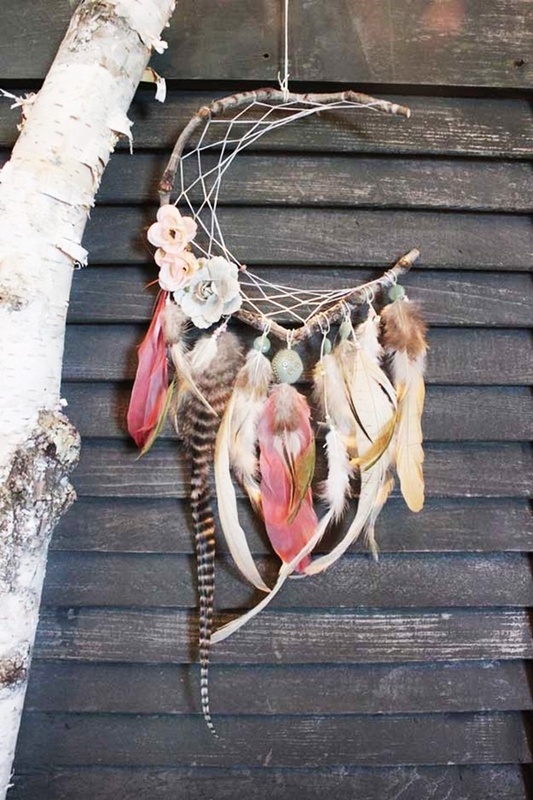 Filter out those bad dreams and sleep profoundly, hang a peacock feather dreamcatcher over your bed. 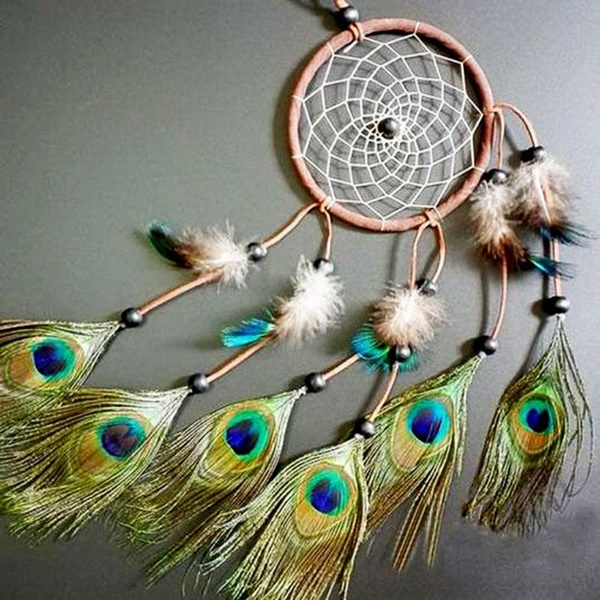 As you sleep, all the dreams from spirit world will have to pass through it, and a dreamcatcher lets only good dreams pass to it. 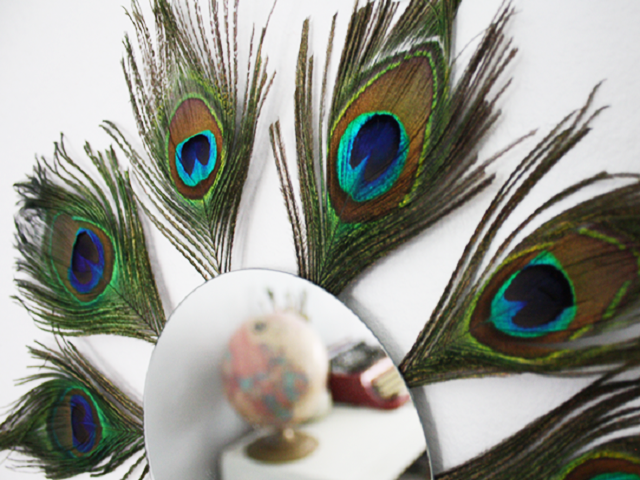 Besides giving us good dreams, they also look super beautiful when hanged on the wall. 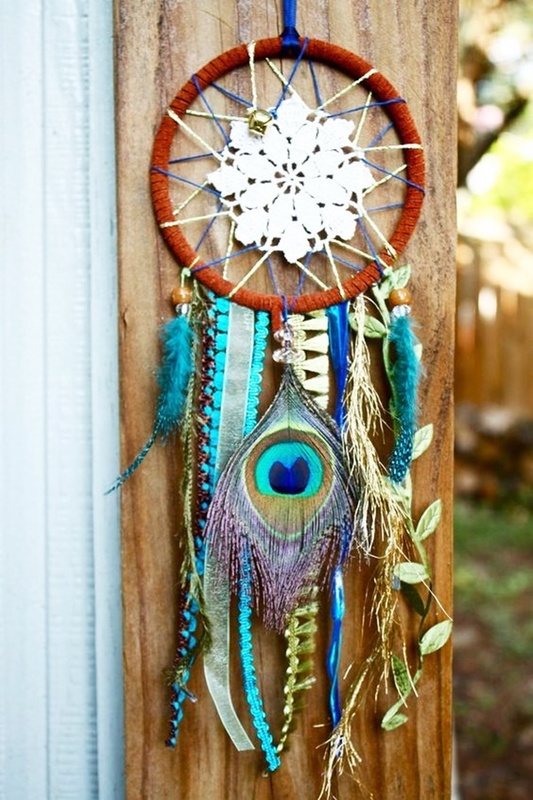 The beautiful Peacock Feather Wall Decor Ideas inspired dreamcatcher made with the finest feathers is totally a steal. 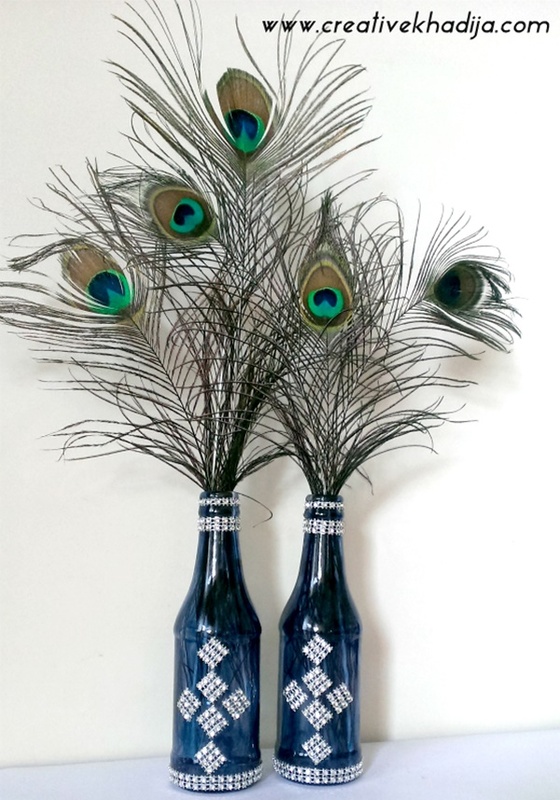 Here there are some breathtaking WINE CORK CRAFTS IDEAS that you shouldn’t miss at all. 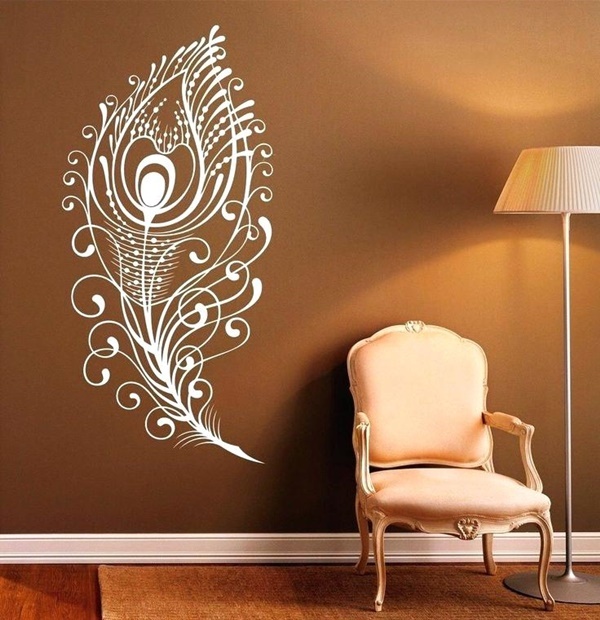 Tip- Before painting, it is really important to check the background of the wall, if the color of the wall is light, your painting should be colorful, if the wall is dark, consider feathers to be white and gold. 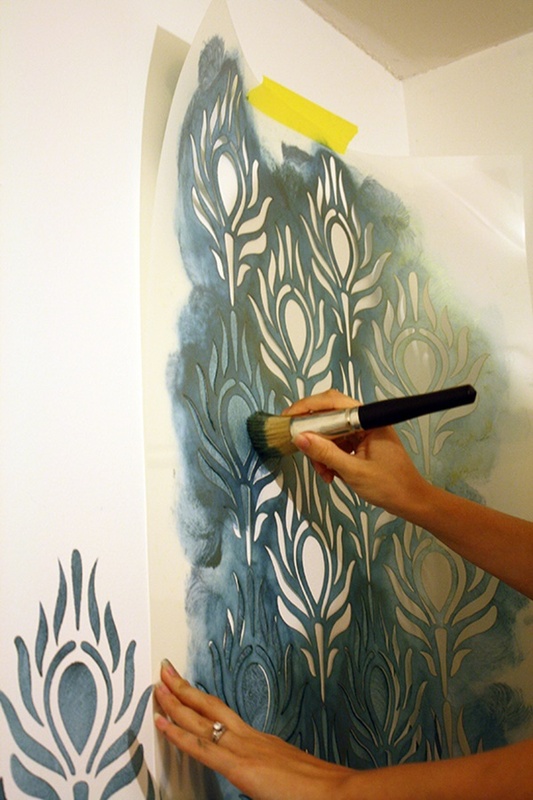 Draw the basic structure of feathers on the wall, make the eyes, and carefully fill the aquamarine part around the eye. Use warm shades of brown around the eyes and bright green for feathers. Cast a light shadow of feather behind for a more realistic touch. You can even add embellishment to decorate it more. 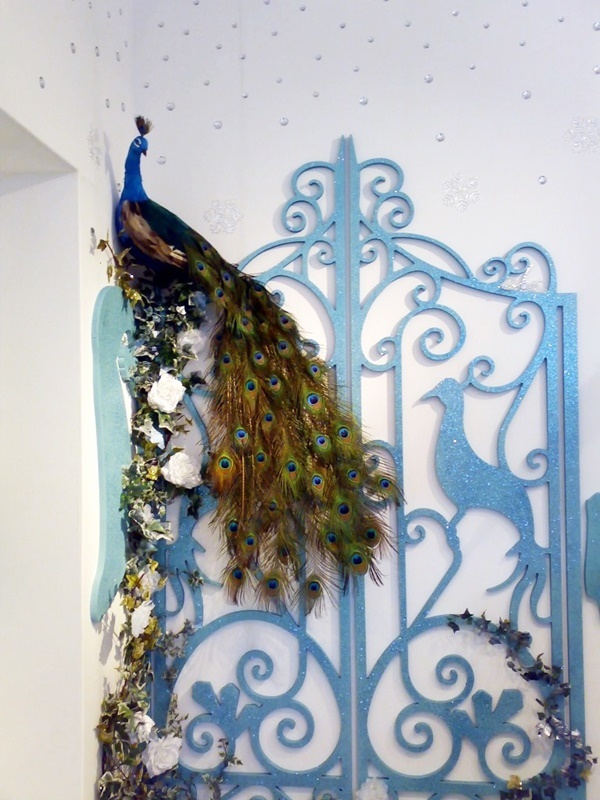 Why should peacocks be limited to paintings? Heck no! 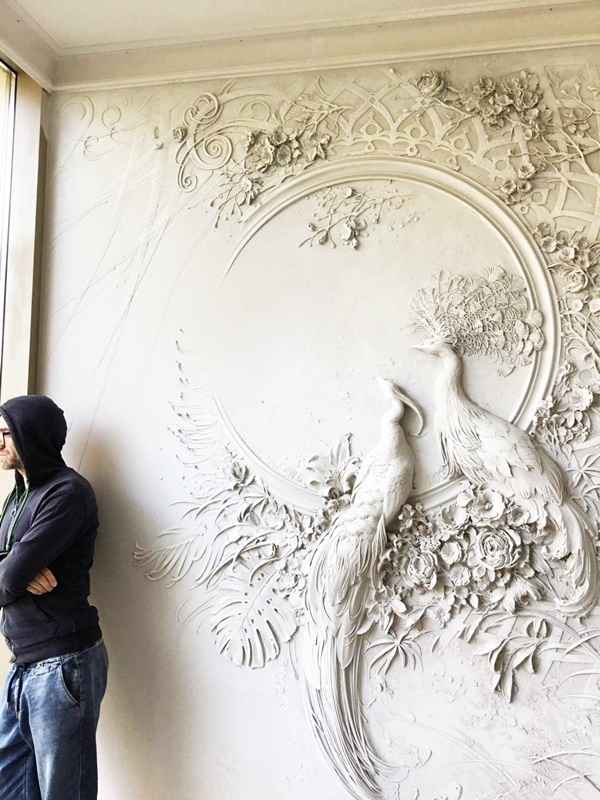 You can even create a wonderful sculpture on a wall with ceramic. 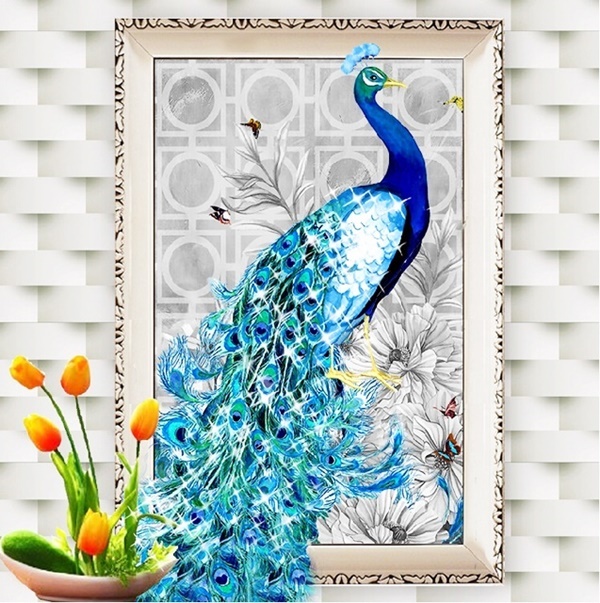 There are various designs available of peacock gracefully strutting its array of feathers, which can change the whole look of your drawing area. 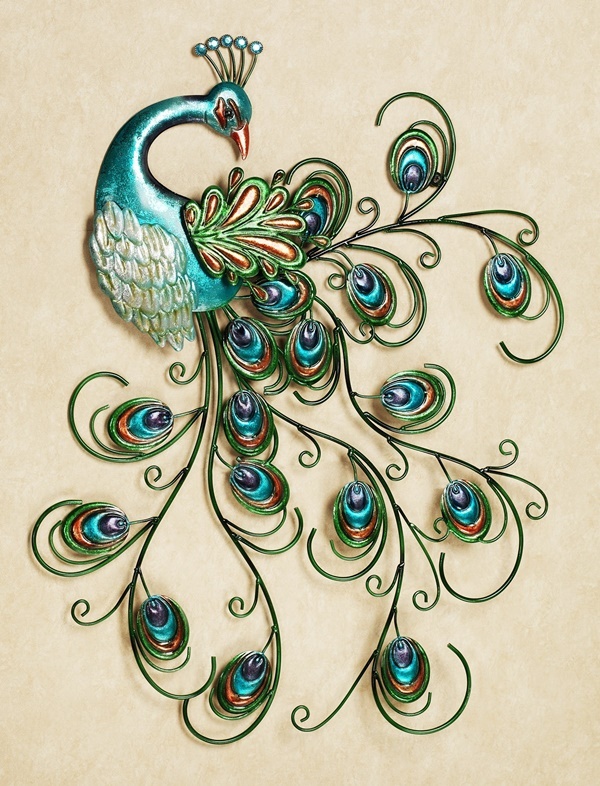 This attention seeking masterpiece, can be sculpted and painted by sculptor as demanded and your room is set to reveal the flattery of peacock feathers. 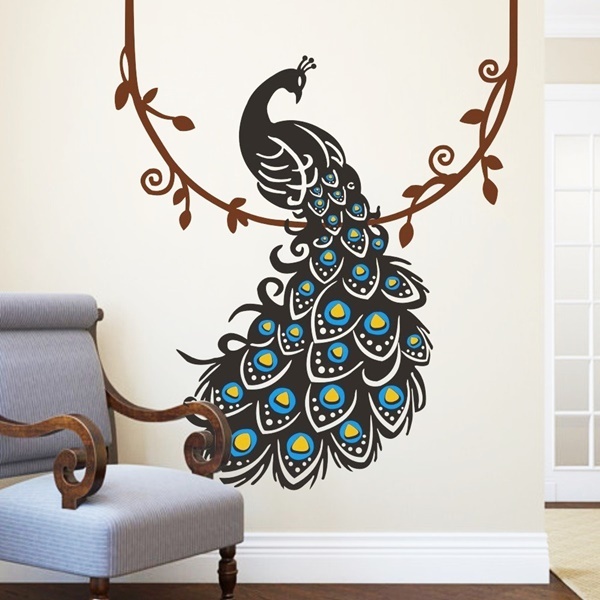 Overboard your wall with peacock feathers, with cute stencils available online, you sure want to melt your heart out. 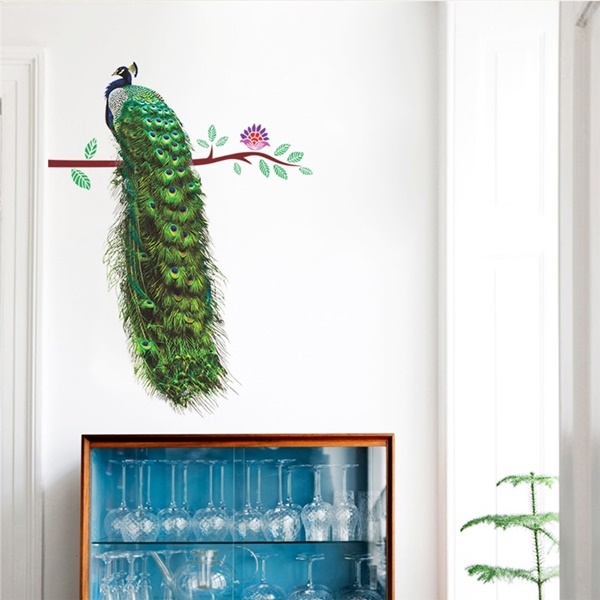 No, don’t let that small section of wall sit ideal and churn the beauty of the house, paint it in a turquoise color and paint golden peacock feathers over it using stencils. Add silver little embellishments to the eyes. Here is Cute N EASY MOTHERS DAY CRAFTS FOR KIDS To Make, that even the most craft averse kids can make quickly. 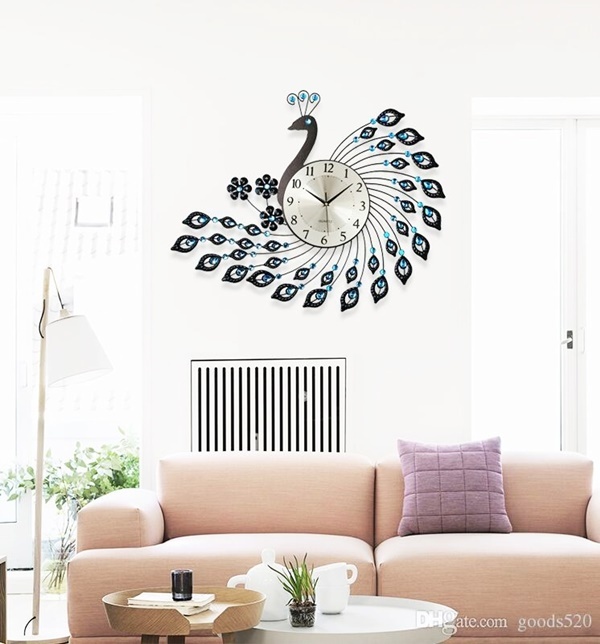 I’m sure, this captivating wall art with this Peacock Feather Wall Decor Ideas is a triumph. 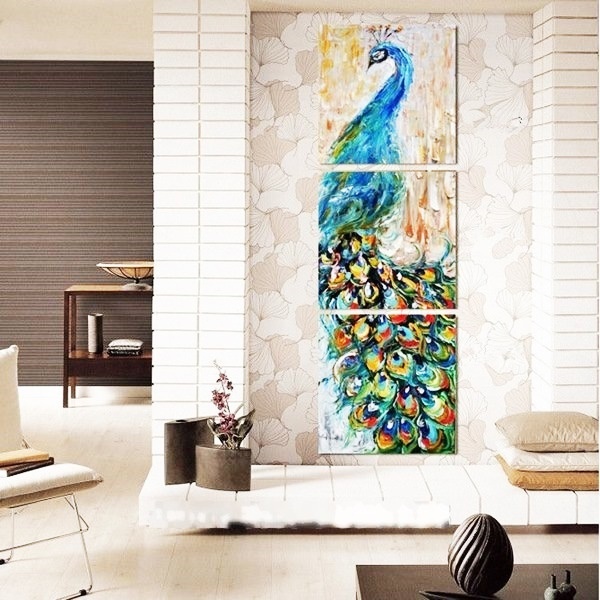 These are few unique ways to bring the pleasing Peacock Feather Wall Decor Ideas to your home to fill the home with good luck, prosperity and good vibes. 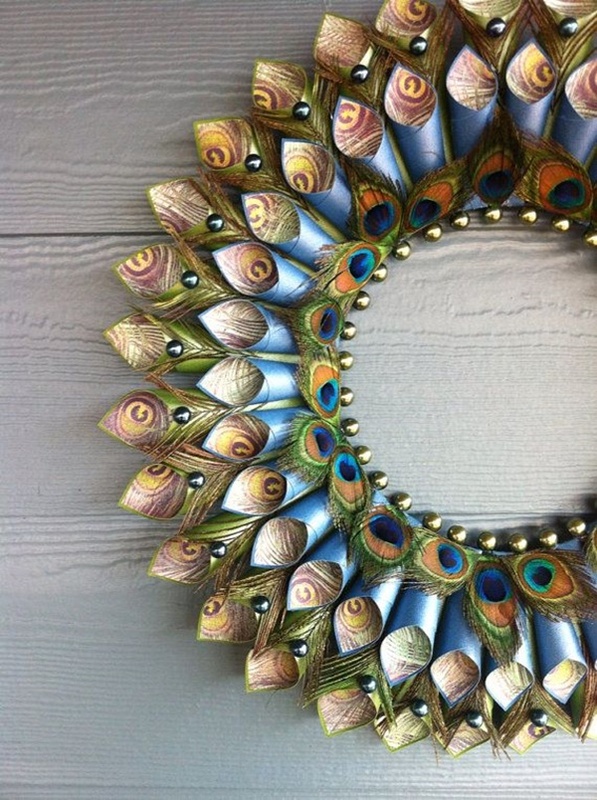 You may also like these DECORATIVE AND BRILLIANT BUTTON ART AND CRAFT IDEAS.